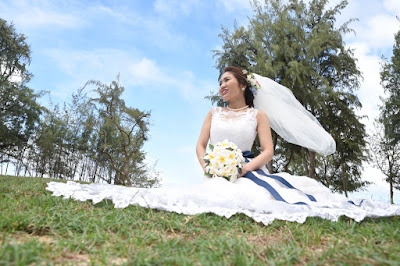 Japanese Bride Ayaka with a sky background. Nice choice on hair flowers. And tropical flower Plumeria Bouquet is one of the best! On cloudy days, greenery comes out perfect. No shadows, and color isn't affected by the clouds.